The FIM Superbike World Championship moves on from Assen's Cathedral of Motorcycling to the Temple of Speed this weekend, with the upcoming round at the Autodromo Nazionale di Monza, with its legendary slipstreaming battles and its 200 km/h average lap speed. Wind, Italy's third-largest mobile phone operator and one of the few European companies to offer integrated mobile, fixed and Internet services, will be teaming up this weekend with the Superbike World Championship, the leading global production-derived racing series. In line with their new slogan "Più vicini" (Closer), Wind aims to get close to the hearts of the fans by bringing its brand inside the Superbike Village to entertain fans with promotions and commercial activities in the three Italian rounds of the championship. 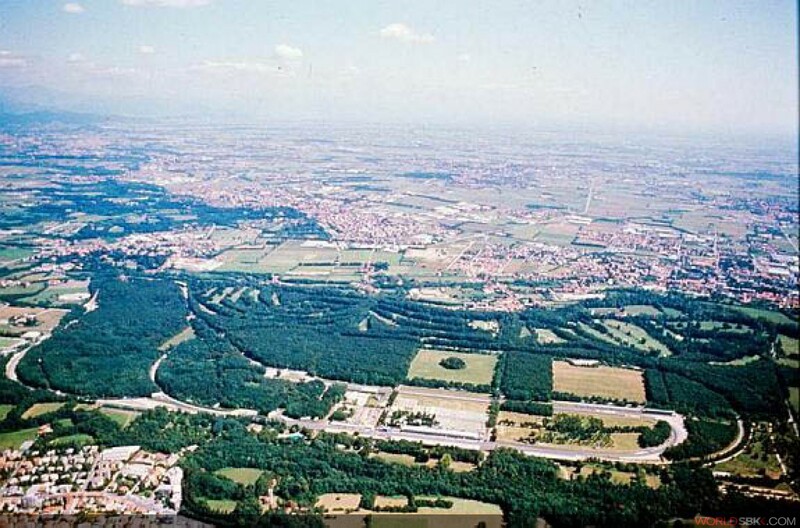 The first appointment therefore is at Monza, which will now be called the "Wind Italian Round - Monza 2011". Despite not winning at Assen, the reigning World Champion Max Biaggi (Aprilia Alitalia Racing Team) hauled himself back into overall second behind leader Carlos Checa (Althea Racing Ducati) with a brace of second places. The Spaniard, who has won four of the six races held so far this season, now comes to a circuit that on paper does not appear to be favourable to his Ducati. The last win for the twin-cylinder machine was in 2009, when Michel Fabrizio won race 1, but the 1098R could struggle on the long Monza straits, where the fours appear to have the upper hand. However Checa's superb form and the excellent overall performance of the Ducati in this early part of the season might help to tip the balance in his favour. For his part Max Biaggi, after a double win here last season, is raring to cut loose at Monza as last year the Italian set an all-time record top speed of 330.2 km/h down the long straights. Just a stone's throw from the parkland track can be found the base of the Yamaha World Superbike Team, which has always had good results there. In the last four years at Monza, the R1 has won four times, three with Noriyuki Haga and one with Ben Spies. These results are a boost for Marco Melandri who will be aiming to go considerably better than a fourth place in race 1 at Assen and not lose too many points to Checa. And still with the fours, the favourites at Monza could also include the three Brits: Jonathan Rea (Castrol Honda), Leon Haslam (BMW Motorrad Motorsport) and Leon Camier (Aprilia Alitalia Racing Team). Honda however has not won here since 2005, when Vermeulen took the spoils but Rea comes off the back of a win and a podium in the Netherlands. BMW are still looking for their first WSBK win and Haslam is giving his utmost to achieve it for the German outfit. Unfortunately Leon has only stepped onto the podium once, at Phillip Island, but last year he was second here for Suzuki. Camier is also on the right path this year and at Monza 2010 scored a couple of good results. A return to Monza awaits BMW Motorrad Italia's former champion James Toseland (second last year), while Michel Fabrizio (Suzuki Alstare) will be counting on his GSX-R1000's previous glorious form - first with Neukirchner in 2008 and Corser in 2005, as well as Haslam's 2010 podium - to help project him to the top. The other men to watch on official machinery include the Kawasaki Racing Team trio of Chris Vermeulen, Joan Lascorz and Tom Sykes, with top privateers Jakub Smrz and Sylvain Guintoli (Effenbert-Liberty Ducati) and Noriyuki Haga (PATA Racing Team Aprilia) also anxious to get amongst the spoils. The grid will be completed by Kawasaki Pedercini machines for Mark Aitchison and Roberto Rolfo, Italian Ayrton Badovini (BMW Motorrad Italia SBK), Maxime Berger (Supersonic Ducati) and the only wild-card entered at Monza, Fabrizio Lai (Echo Sport Racing Company Honda). A crash at Assen for Luca Scassa (Yamaha ParkinGO) brought an end to the Italian's winning streak but has failed to dent his confidence. Scassa is still on top of the points stack, but now has an advantage of just three over Broc Parkes (Kawasaki Motocard.com) and five over team-mate Chaz Davies, who scored his first win in the last race. Robbin Harms (Harms Benjan Racing Team Honda) is lying fourth and David Salom (Kawasaki Motocard.com) fifth. Monza could see the return to the top of the Hondas, which so far this year have not won a race. The most successful Supersport team ever, Hannspree Ten Kate, have had some up and down results with Fabien Foret and Florian Marino, Frenchmen both, occasionally fighting for the top positions. Massimo Roccoli (Lorenzini by Leoni Kawasaki) hopes for a further improvement to move up on his seventh place, while two Brits who promised much at the start of the season, Sam Lowes (Parkalgar Honda) and James Ellison (Bogdanka PTR Honda) have both been knocked about somewhat by injuries and are yet to get into full Supersport flow. Last Sunday's win by Lorenzo Zanetti (BMW Motorrad Italia Superstock Team) in the CIV domestic championship has given fresh impetus to the team in view of the second round of the Superstock 1000 FIM Cup. Last year BMW dominated with Ayrton Badovini and this year they will try and repeat the feat with Zanetti and Sylvain Barrier, third at Assen. Other BMW S 1000 RR machines will be in the hands of wild-card Michele Magnoni (Baru Racing Team), second in 2010. In the Netherlands the win went to the Ducatis, which finished first and second in the hands of Davide Giugliano (Althea Racing) and Danilo Petrucci (Barni Racing Team), while Lorenzo Baroni (Althea Racing) finished fourth. Monza should also see a return to form by Kawasaki and Honda, with all eyes focused on the talented Australian Bryan Staring and Italian Marco Bussolotti (Pedercini Kawasaki). In the opening round of the Superstock 600 championship a Dutchman, a Frenchman and an Australian dominated proceedings, with Michael van der Mark (Ten Kate Junior Team Honda) taking the honours at his home track ahead of Romain Lanusse (MRS Yamaha Racing France) and Jed Metcher (MTM-RT Motorsports Team Yamaha). More of the same nail-biting action is expected on the high-speed Monza circuit, with this time a few top talented Italians thrown into the fray for good measure. These will include Bernardino Lombardi, fourth in the Netherlands for Martini Corse, team-mate Francesco Cocco and Riccardo Russo (Trasimeno Yamaha). The weekend programme is completed with the second round of the European Junior Cup, reserved for youngsters on Kawasaki Ninja 250R machines.